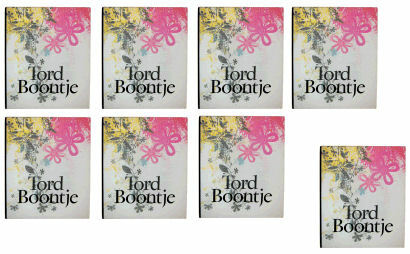 Tord Boontje - New Book! In addition to everything else Tord has his hands on, did you know that he is soon to release a book in the Spring of '07? You can pre-order it right here on Amazon (I just did). Here is a snippet, straight from his website, which gives us a peek at what we can expect, "We have managed to create a comprehensive book of all activities to date. We have photographed all work to date in the forest, in settings and in the studio to create a spectacular documentation." Sounds lovely, doesn't it? Published by Rizzoli. To be released in 24 April 2007. More details can be found here, where you can also pre order the book.